"l wanted to write this letter to you because I know how hard it was to give Pepper up, but rest assured Pepper will have the life of a princess." For six wonderful years, Pepper the dog was a treasured companion. She accompanied her mom out and about, and they lolled around at home, sharing chicken feasts. But this past spring, Pepper's human, who is elderly, became unable to care for herself any longer. In early May, she went to live in a senior assisted living facility — one that doesn't allow pets. After being unable to find Pepper a new family on her own, her owner handed her over to BARCS, Baltimore's city shelter. "While surrendering Pepper, she described her to our intake staff as 'the most beautiful, loving, friendly, spoiled rotten dog with great long ears,'" the shelter wrote in a Facebook post. "She trusted our staff to find Pepper a new home filled with love." Nearby, there was a family whose home was feeling empty. 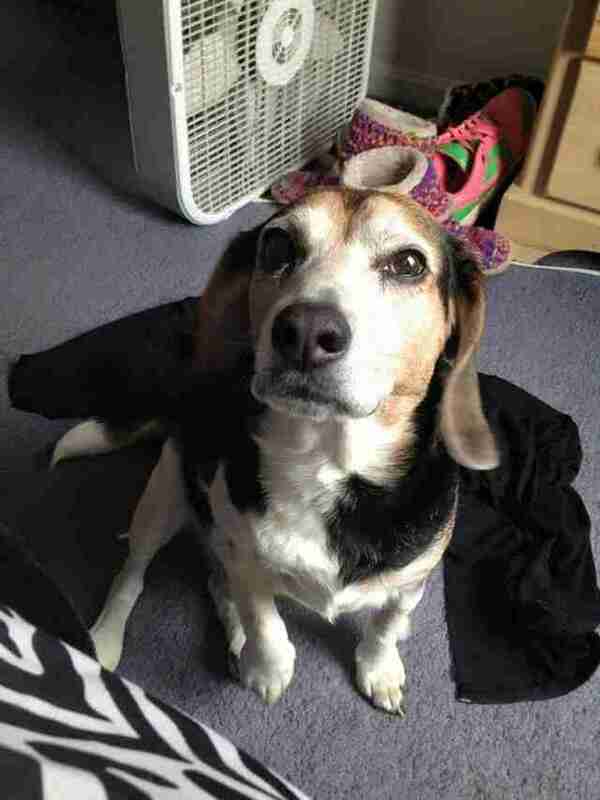 In March, the Bowman family had lost their dog Charlie. Kristen Bowman tells The Dodo that her mom, Terrie, was hit especially hard by Charlie's death; Charlie had been her "baby boy for almost 15 years." Charlie came from a puppy mill, and was very sick when he was young. Terrie carefully nursed Charlie back to health over the course of months. "After that ordeal, Charlie had a very special place in my mom's heart," says Bowman. The following decade and a half also came with its share of health troubles, surgeries, care and love. In January, Charlie's kidneys began to give out. He still wagged his tail, though, still seemed happy, until one day in March, when Charlie refused to eat. Later that day, he collapsed, and died in Terrie's arms. "She held him and cradled him like a baby crying her eyes out," says Bowman. "Each morning after that day, I saw my mom cry her eyes out continuously. She missed her baby boy so much. A week later he came home and she put his box of ashes right next to her bed where he was close to his mama once again." Bowman saw her mother grieve deeply after Charlie's death. The whole family did — that includes their other dog, Gracie, Charlie's 9-year-old "little sister," as Bowman describes her. "She was lost without Charlie and, as she did every morning, she would sit and wait for him to go outside, except he wasn't there anymore. You could tell she was suffering and knew her big brother was gone forever," says Bowman. Terrie began browsing adoptable dogs online. In early May, she spotted a Charlie-like dog who'd just come into BARCS. Bowman thought that bringing home that dog might be a way to help ease some of her mother's pain. "I thought, ‘what the heck, let's go see this beagle,’" says Bowman. 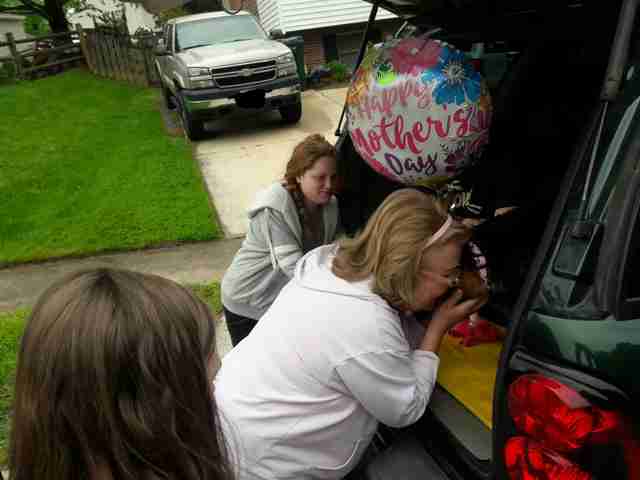 The day before Mother's Day, May 13, Bowman went to BARCS with her boyfriend and his two daughters, and a niece. They got there at opening time, and asked to see the beagle. Three other families were already there to put in adoption applications for this dog. "Then I had remembered seeing a beagle mix on the website, named Pepper, and asked if she was still available," Bowman says. "They said yes, and that no one had put paperwork in to adopt her." Pepper was in her kennel, looking sad and scared. Bowman knelt down to see her. Her face and her ears looked so much like Charlie's. Pepper got up, licked Bowman's hand and wagged her tail. "I knew right then she was it. I just felt it in my heart," Bowman says. "So we set off for home to surprise my mom." While Bowman was filling out Pepper's paperwork, BARCS staff told her the story of how Pepper had come to be in the shelter. Bowman felt even more strongly about this adoption. The group stopped on the way home to get Pepper a bath and supplies. 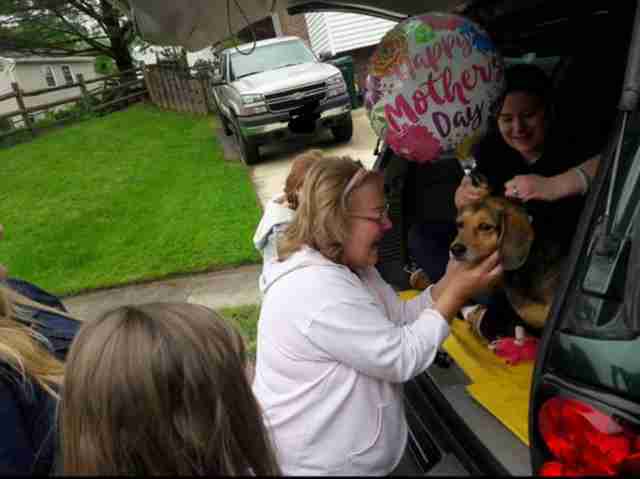 They bought a Happy Mother's Day balloon, which they tied to Pepper's new collar. 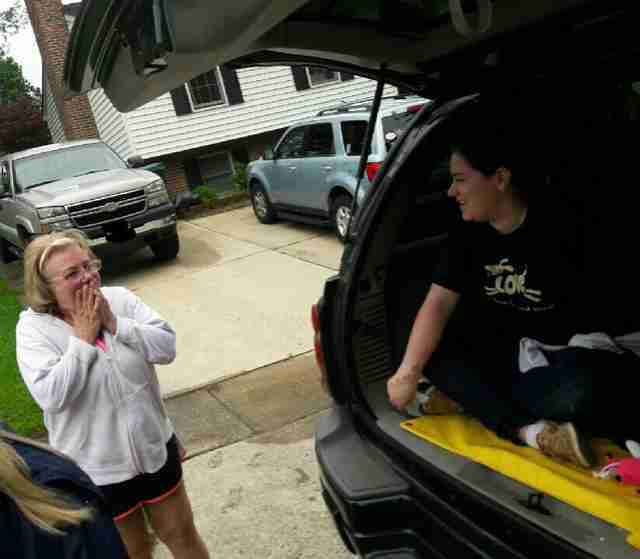 When the family got home, they told Terrie there was a surprise for her in the car. She came outside, and saw Pepper there waiting. "She immediately kissed Pepper on the forehead and held her face telling her that she was so pretty and that she loved her. It was pure joy for my mom," says Bowman. Pepper and Terrie have stuck close since. Pepper follows Terrie from room to room. They sit in the same chair to watch TV, and sleep in bed together at night. Bowman feels as if Charlie somehow sent Pepper to Terrie, to help her heal — to help them both heal. She's become a pal to Gracie as well. 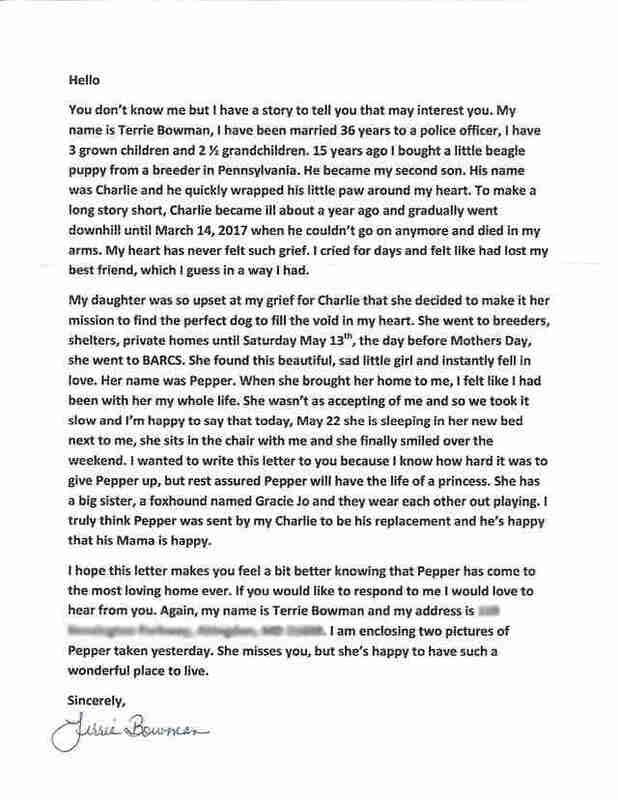 Terrie sent a letter to Pepper's previous mom, letting her know just that. "Hello," the letter begins. "You don't know me but I have a story to tell you that may interest you." The letter describes Terrie's grief at losing Charlie. The comfort she's found with Pepper. And how happy and loved Pepper is now, with her new family. "l wanted to write this letter to you because I know how hard it was to give Pepper up, but rest assured Pepper will have the life of a princess," Terrie wrote. "She misses you, but she's happy to have such a wonderful place to live." 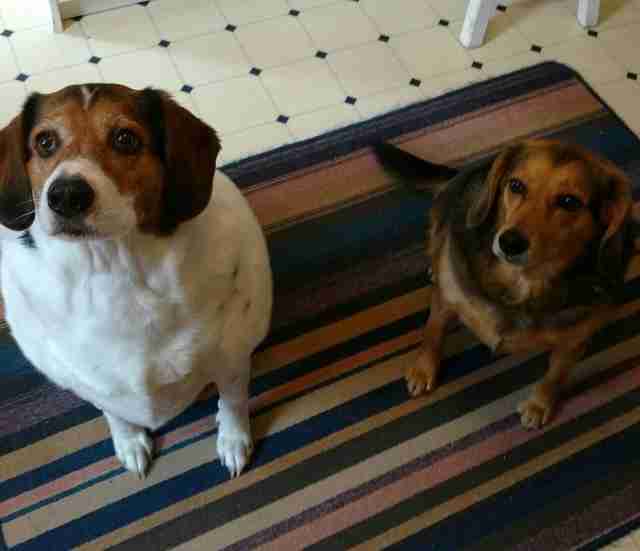 The Bowmans got the letter to BARCS, where staff forwarded it to Pepper's previous owner. They heard back, and are planning a Facetime reunion soon. "And here we are," says Bowman. 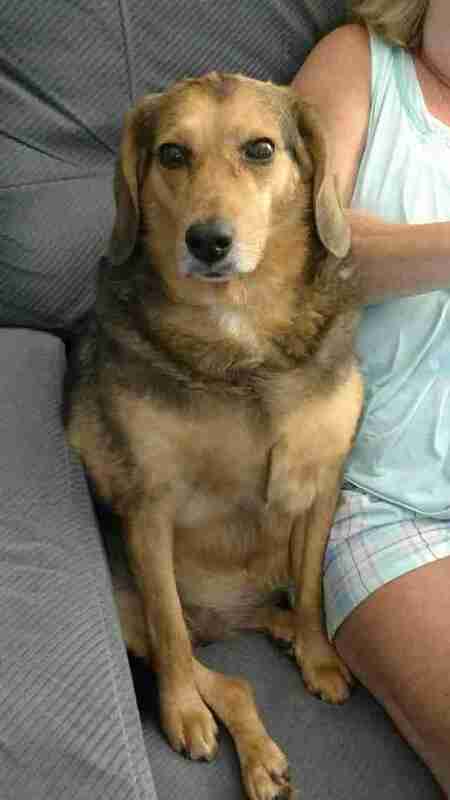 "I am just happy that I was able to give Pepper a good home and at the same time fix a piece of my mom's broken heart. I know this won't take away her pain of losing Charlie, but it is helping her to heal and that means the world to me," she says. "In my heart I truly felt it was meant to be. That Charlie sent her to us." Check out BARCS' other adoptable pets here.